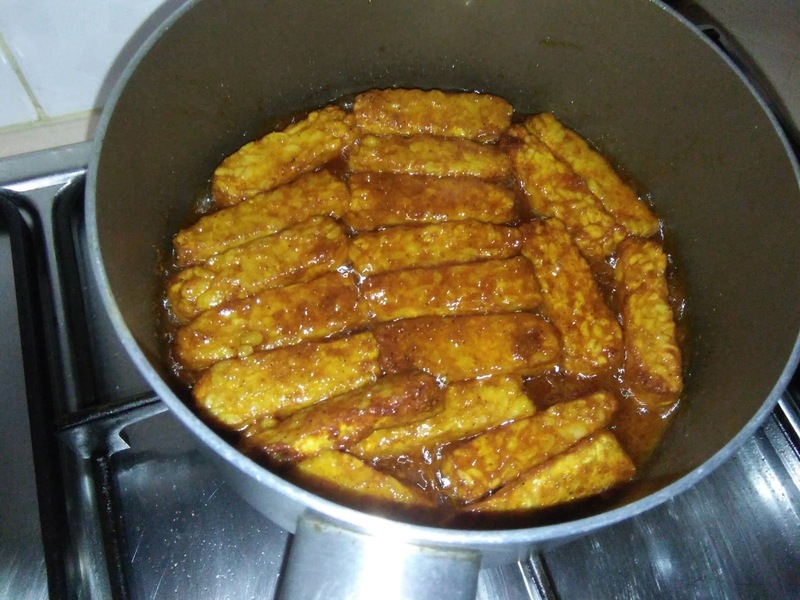 My family has learned to love fried tempeh which I prepared for them. 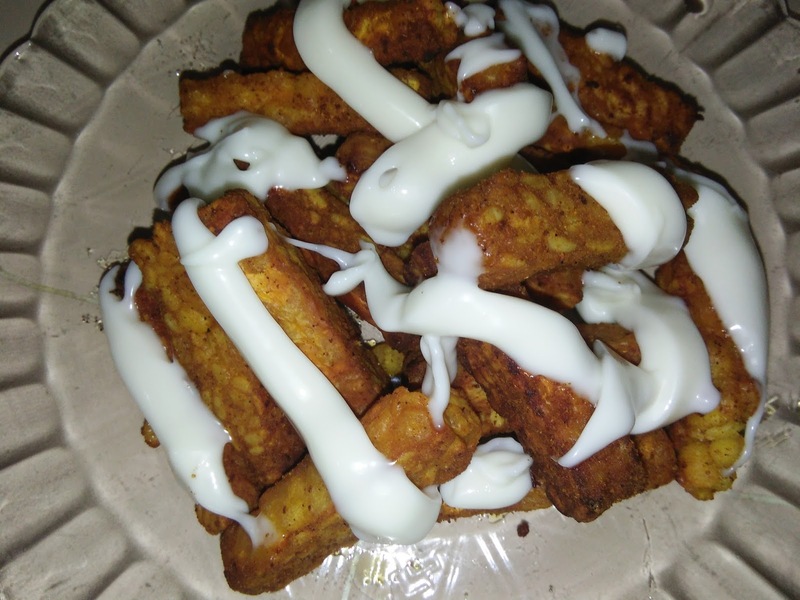 Tempeh tastes good be it pan fried or deep fried. 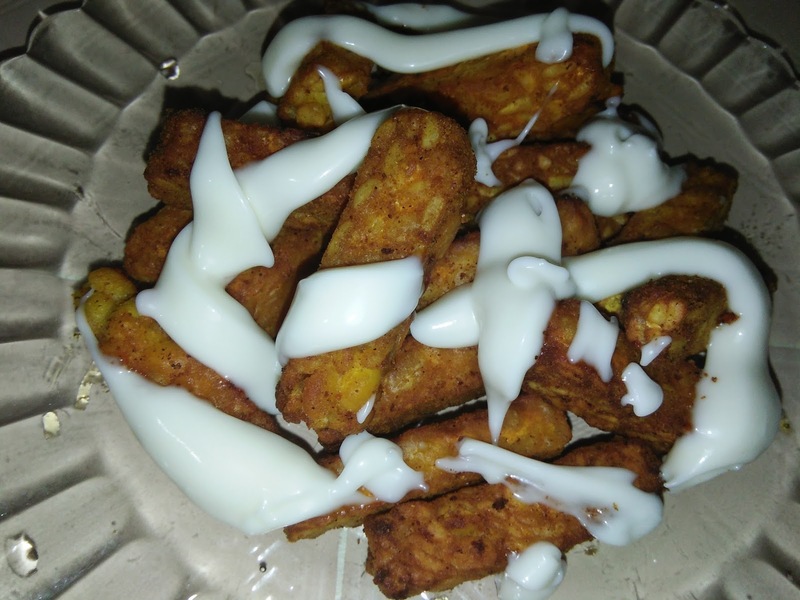 It can be served with a salad or any tasty dipping sauce. Here, I have made it very simple. The pan fried tempeh pieces are served with mayonnaise. You can serve the with chilli sauce, too. Though tempeh is a naturally cultured and fermented patty, it has a unique taste and flavourful on its own when fried. Combine seasoning ingredients in a deep plate or bowl. 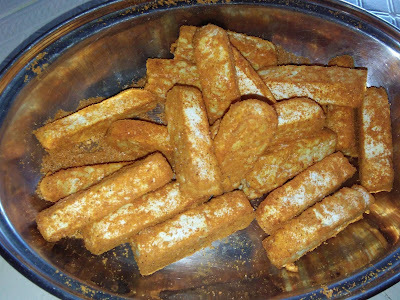 Cut tempeh into slices of cubes. Add to combined seasoning. Toss well and set aside for several minutes. 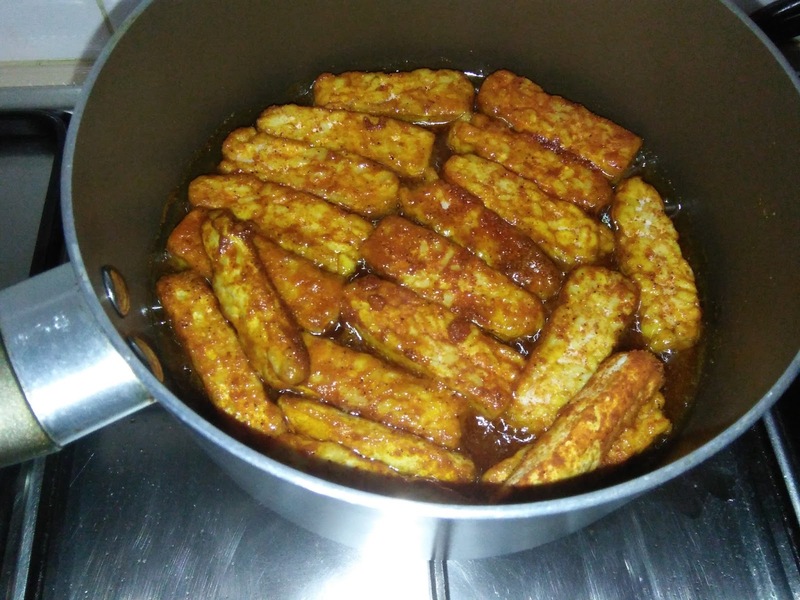 Heat oil in wok and fry tempeh until golden and crispy. One tip - best to fry in batches because oil for frying cannot be re-used. Dish up on serving platter. 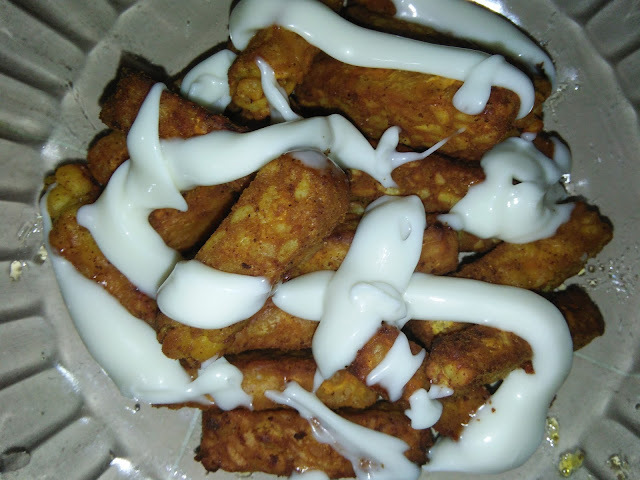 Drizzle over with mayonnaise.